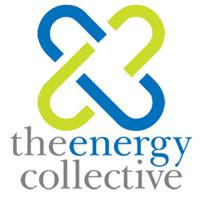 In an effort to help our members better understand the policy, investment opportunities and trends swirling around this topic, The Energy Collective is proud to announce the second of our fall panels on energy topics: “Rethinking the Electric Grid." Where is the leadership for innovation coming from? Utilities? Technology companies? What policies are needed at the federal and regional levels to support smart grid deployment? How will greater decentralization of the grid change the power distributors' business models? What role does FERC need to play, acting in concert with utilities? What roles will the customer and customer feedback play in the development of smart grid? What technology breakthroughs are needed? Register here and reserve your spot for the webcast today. Marc Gunther (moderator) is a veteran journalist, speaker, writer and consultant whose focus is business and sustainability. Marc is a contributing editor at FORTUNE magazine, a senior writer at Greenbiz.com, a lead blogger at The Energy Collective. He's also a husband and father, a lover of the outdoors and a marathon runner. Marc is the author or co-author of four books, including Faith and Fortune: How Compassionate Capitalism is Transforming American Business. He's a graduate of Yale who lives in Bethesda, MD. David Pacyna is Senior Vice President & General Manager of the NAFTA Transmission & Distribution Divisions of Siemens Energy Inc (SEI). Dave has extensive international experience within the power industry, having led project development and sales and marketing efforts in Europe, Africa, the Middle East, the former Soviet Union, Turkey, Canada, and Latin America. He is a member of the U.S. National Executive Committee of CIGRE, and of the Board of the Power Equipment Division of the National Electric Manufacturers Association. Jim Greer is Senior VP, Asset Management and Engineering for Oncor, the largest regulated electric delivery business in Texas, where he directs asset investment, performance management, sourcing, system planning, engineering and information management. Jim has held a number of leadership positions within Texas Utilities Company system since joining in 1984. He is also a member of the Texas State Board of Professional Engineers, the Texas Society of Professional Engineers, and the Institute of Electrical and Electronic Engineers. Katherine Hamilton is President of the Gridwise Alliance, a project to modernize the US electric grid system and create a collaborative network. Since joining in 2008, Katherine has watched membership grow to over 100 members, and brokered numerous strategic alliances with key stakeholder groups. She has also been instrumental in spearheading the legislative and policy efforts of the Alliance in the past year including developing legislative language and providing testimony for Congress.